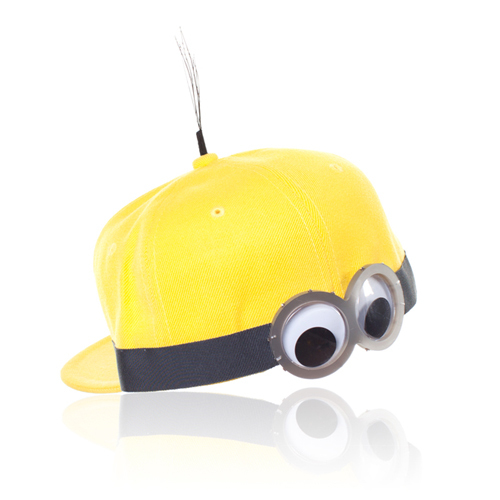 To mark the release of the Universal Pictures and Illumination Entertainment's 'Minions' film, Parisian boutique Colette launched the 'Minions Bello Yellow Collection' inspired by the lovably mischievous 'Despicable Me' henchmen. 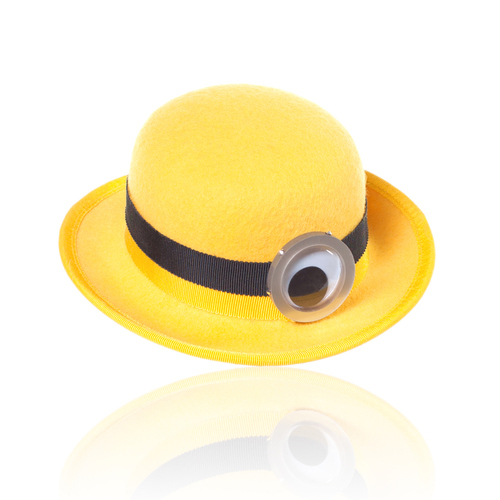 The 'Minions Bello Yellow Collection' features garments made by 6 international designers (Rupert Sanderson, Giles Deacon, Piers Atkinson, Tatty Devine, Criminal Damage and SJYP) with this capsule collection of head-wear from London-based milliner Piers Atkinson being particularly pleasing. 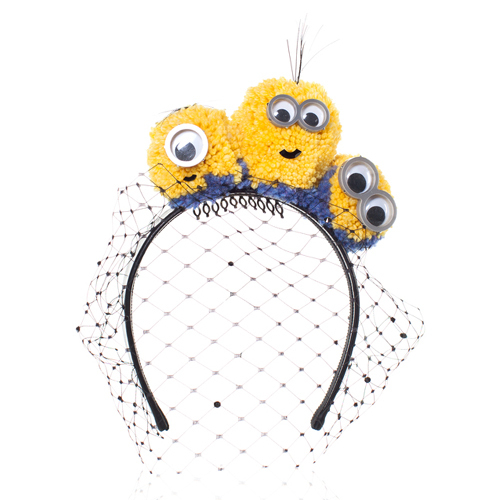 Prices range from £290 for a 'Bob' beanie adorned with a yellow & blue pom-pom with googly-eyes and spiky hair to £505 for a more elaborate 'Stuart, Kevin & Bob' headband featuring a Swarovski crystal half-face veil and yellow & blue pom-pom likenesses of the trio.